I was walking around in a Big Bazar store making shopping, when I saw a Cashier talking to a boy couldn't have been more than 5 or 6 years old. I counted his cash and replied: ''You know that you don't have enough money to buy the doll , my dear.'' The little boy was still holding the doll in his hand. Finally, I walked toward him and I asked him who he wished to give this doll to. 'It's the doll that my sister loved most and wanted so much. I wanted to Gift her for her BIRTHDAY. My heart nearly stopped. The little boy looked up at me and said: 'I told daddy to tell mummy not to go yet. I need her to wait until I come back from the mall.' Then he showed me a very nice photo of him where he was laughing. He then told me 'I want mummy to take my picture with her so my sister won't forget me.' 'I love my mummy and I wish she doesn't have to leave me, but daddy says that she has to go to be with my little sister.' Then he looked again at the doll with sad eyes, very quietly. 'OK' he said, 'I hope I do have enough.' I added some of my money to his with out him seeing and we started to count it. There was enough for the doll and even some spare money. I finished my shopping in a totally different state from when I started. I couldn't get the little boy out of my mind. Then I remembered a local news paper article two days ago, which mentioned a drunk man in a truck, who hit a car occupied by a young woman and a little girl. The little girl died right away, and the mother was left in a critical state. The family had to decide whether to pull the plug on the life-sustaining machine, because the young woman would not be able to recover from the coma. Was this the family of the little boy? Two days after this encounter with the little boy, I read in the newspaper that the young woman had passed away.. I couldn't stop myself as I bought a bunch of white roses and I went to the funeral home where the body of the young woman was exposed for people to see and make last wishes before her burial. She was there, in her coffin, holding a beautiful white rose in her hand with the photo of the little boy and the doll placed over her chest. I left the place, teary-eyed, feeling that my life had been changed for ever. 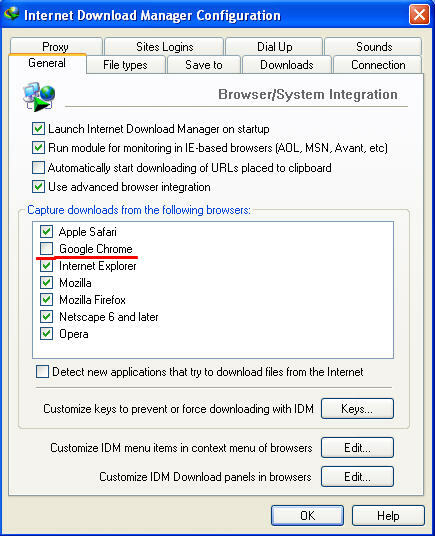 These files are stored somewhere else on the internet and are NOT a part of this website. I do not carry ANY responsibility for them,I ONLY COLLECTS links and INDEXES other sites contents.I expects all who use the Internet to abide by all laws, including all COPYRIGHT and other intellectual property laws. Finally, it's out in the open. Former India captain Sunil Gavaskar is the 'big player' who had helped the Kochi franchise pulls off a stunning coup in the controversial Indian Premier League auction. Rendezvous Sports World Pvt Ltd (RSWPL), which got a bunch of disparate investors together and masterminded the entire exercise, confirmed this to TOI on Monday. The Gaikwad family, which owns RSWPL and commands 25% free equity and 1% paid equity in the team, said: "We have Gavaskar's support and full backing. It was under his guidance that we had decided to get into this." RSWPL chairman Shailendra Gaikwad's father, Kisan Gaikwad, said Gavaskar would look after the team's cricketing operations. It is also learnt that the player will get a stake in the franchise. TOI, it may be recalled, had revealed how a couple of very 'big players' - including a current star - had either already worked with the franchise or had promised to do so eventually. Later in the night, Gavaskar explained to TOI that he had indeed been approached by the Gaikwads, as also the other members of the consortium. "They have asked me, individually and collectively, to come in for the cricketing part of the team. I will take a call once the internal issues are resolved," he said in an e-mail reply. 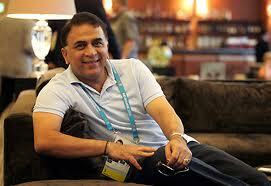 Gavaskar is on a brief trip to Dubai. The IPL governing council is expected to meet in two days to decide the fate of the franchise which is struggling with internal disputes. With this revelation, the Gaikwads can now hope to fight for the team's survival, and their own, from a position of strength. The Kochi franchise had been given 10 days to resolve its internal differences and form a company or face the axe like Rajasthan Royals and Kings XI Punjab. The key investors here, including owners of Anchor Earth and Parinee builders, and RSWPL have been unable to sort out issues over free equity and overall control of the team. Gavaskar had recently quit the IPL governing council over suggestions that he was not amenable to certain high-profile officials within the board. As the battle for survival enters its final leg, he might have agreed to come out in the open to try and save the team. The franchise managed to win a few days' grace time by submitting a reply to the board's showcause notice. The Gaikwad camp claimed it was not aware of the arrangement suggested by the investors. "They are submitting all kinds of documents without even telling us. They anyway can't change the shareholding pattern. We hope the BCCI sticks to the stand that has seen both RR and Kings XI thrown out of the IPL," said Kisan Gaikwad. Kisan, a senior bureaucrat, also sought to clarify certain stories doing the rounds. "My father is a freedom fighter. It hurts to hear that we have a tainted background. They have also claimed that my son Ravi (Shailendra's brother) has been suspended. I would like to say that he is still in the job." Maruti Suzuki Kizashi will be auto maker’s first and probably the most courageous attempt to debut into the country’s mid sized sedan market. The new car Maruti Kizashi will come with an approximate price tag of Rs. 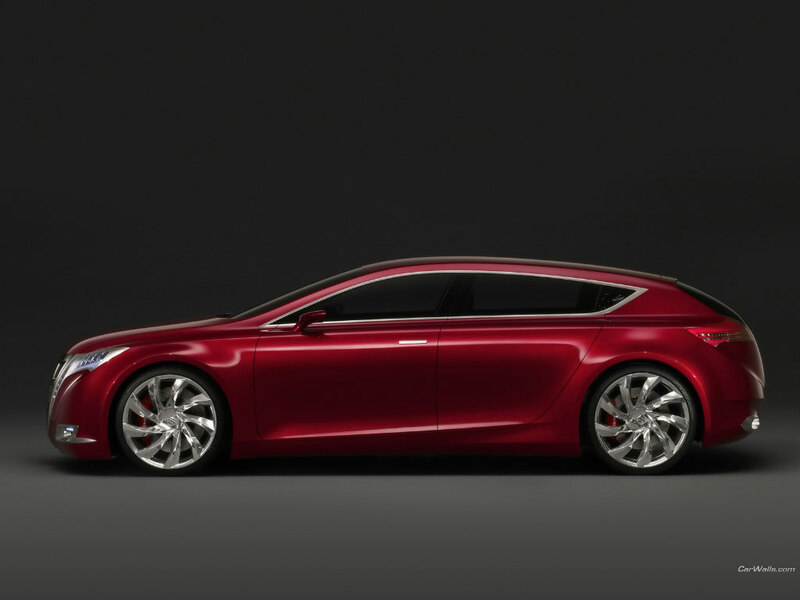 18 lac and is pitted against Honda Civic, the much popular and successful mid sized sedan in the country. 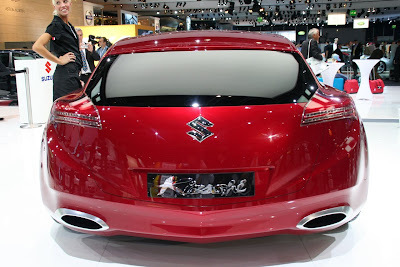 Kizashi which was launched in the US and Japan in 2009 was displayed at the Auto Expo in Delhi in 2010 where company announced its plans to launch it inIndia . The sedan is expected to create a niche for itself among the big players and looks, price and performance will decide that for it. Today customers have a wide choice in the C/D segment and to make them shift towards Maruti will be a gigantic task for the automaker. 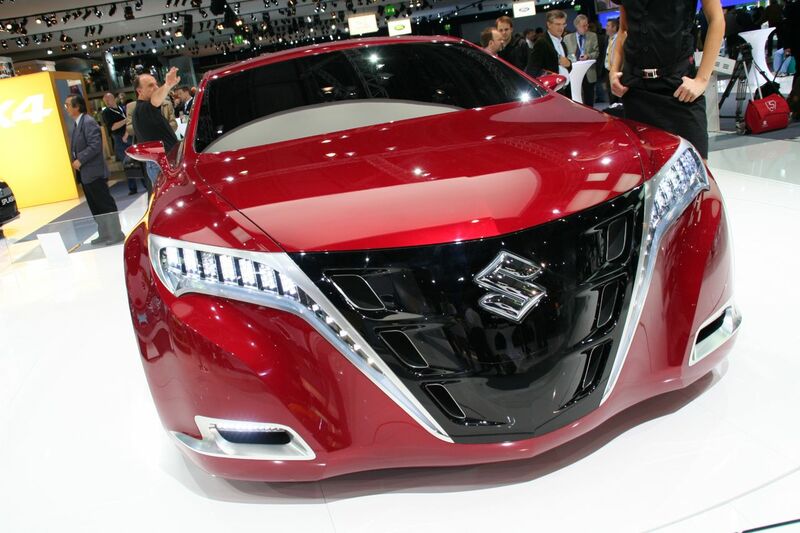 Kizashi is the first car by Maruti Suzuki that comes in a price bracket of Rs. 15-18 lac and to justify the expensive price tag Maruti needs to show a lot of creativity with the car in terms of muscle, style and looks to be able to hit the right cord with the Indian luxury car customers. Kizashi features a 2400cc engine with a peak power of 131 KW @6500 rpm and maximum torque of 230@ 4000 rpm. 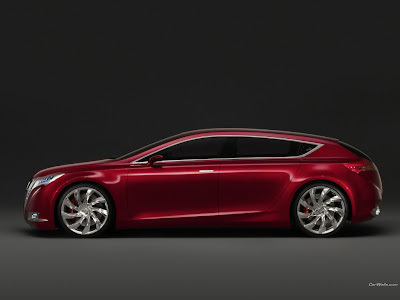 The vehicle has 6-speed manual transmission and accelerates from 0-60 mph in 8.0 seconds. 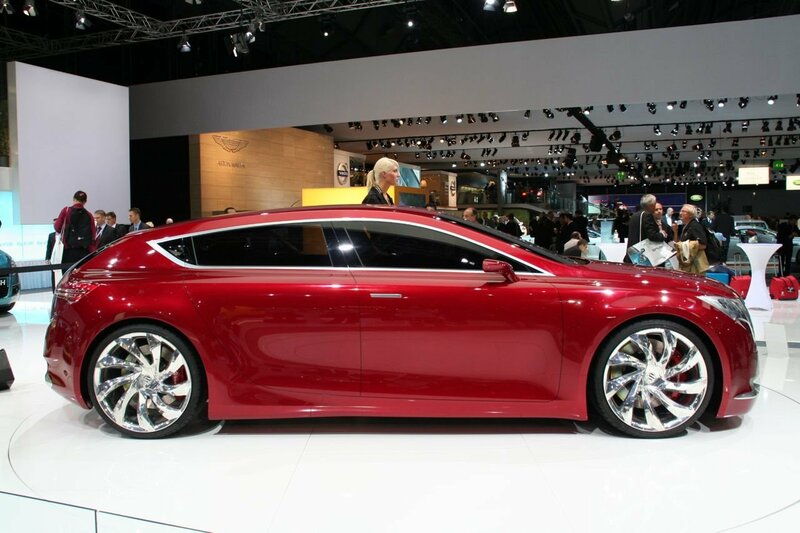 The sedan boasts of a well sculpted body that oozes muscularity. It is the perfect combination of Japanese craftsmanship and European looks. 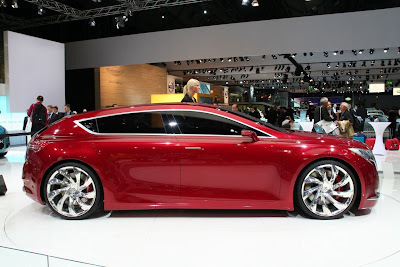 The interior of Kizashi are equally stylish and feature rich. It has a spacious cabin and comes with leather seats. The instrument panel is equipped with Bluetooth and iPod connect. The safety features include an exceptionally rigid unibody, 6 airbags and four wheel disc brakes. 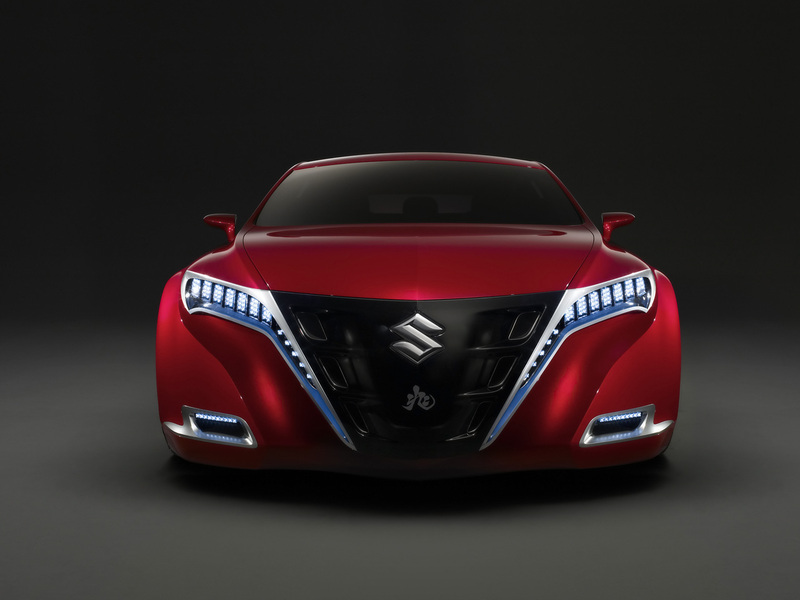 It remains to be seen that whether Kizashi makes it big at the D segment as it did for the hatchbacks and compact cars in India or slips into the segment of low cost bigger sedan. Kizashi is definitely a make or break situation for Maruti in the mid size sedan segment. Awesome wedding videography - Brilliant camera work for wedding! As promised, Apple today offered a preview of Mac OS X 10.7, a.k.a "Lion," which Steve Jobs says has been inspired by the company's efforts with iOS. That inspiration has resulted in an expanded use of multitouch gestures (but not on a vertical screen), an emphasis on iPad-like full screen applications, and -- here's the big one -- an App Store for OS X (which will also be coming to Snow Leopard). Also new is the Launchpad application launcher, which will give you an iPad-like grid of icons and let you create iOS-style folders for applications, and the all-new Mission Control, which offers a unified view of all your open windows, open apps, and your dock. No exact launch date just yet, but Apple says Lion will roll out sometime in the summer of 2011 -- head on past the break for the full press release. The new Apple MacBook Air! The next generation of MacBooks. 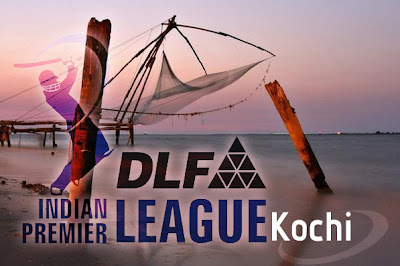 Kochi IPL team is ready is to meet deadline October 21. The Kochi IPL franchise might stay in the multi-million dollar T20 league, after all. With just two days to go for complying with the BCCI’s demand of incorporating a joint venture company to run the franchise, the promoters, Rendezvous Sports World Pvt Ltd, and the investors would be holding a meeting here on Tuesday to thrash out their differences and fulfil the terms and conditions of the Franchise Agreement. “The indications are positive,” said Satyajitsinh Gaikwad, chief executive officer of RSW, on the eve of the meeting. It’s not clear what kind of truce will take place, but Gaikwad suggested that a solution would be worked out in time to meet the BCCI’s deadline of October 21. The faction-ridden consortium was served a show-cause notice for failing to form a legal entity on October 10 by the IPL Governing Council which scrapped Rajasthan Royals and Kings XI Punjab the same day. The crux of the problem for Kochi was the struggle to wrest control between RSW and the rest of the investors — which included corporate firms Anchor Earth, Parinee Developers, Rosy Blue and Film Wave, and an individual, Vivek Venugopal. India is fast becoming a superpower, says Shashi Tharoor -- not just through trade and politics, but through "soft" power, its ability to share its culture with the world through food, music, technology, Bollywood. He argues that in the long run it's not the size of the army that matters as much as a country's ability to influence the world's hearts and minds. TEDTalks is a daily video podcast of the best talks and performances from the TED Conference, where the world's leading thinkers and doers give the talk of their lives in 18 minutes. Featured speakers have included Al Gore on climate change, Philippe Starck on design, Jill Bolte Taylor on observing her own stroke, Nicholas Negroponte on One Laptop per Child, Jane Goodall on chimpanzees, Bill Gates on malaria and mosquitoes, Pattie Maes on the "Sixth Sense" wearable tech, and "Lost" producer JJ Abrams on the allure of mystery. TED stands for Technology, Entertainment, Design, and TEDTalks cover these topics as well as science, business, development and the arts. Tourist sector in Kerala has been given a further boost in its operations with the launch of heli taxi services from Kochi International Airport. The helicopter service which will help tourist to fly to pilgrimage places and tourist spots in Kerala was launched by Cochin International Airport Ltd (“CIAL”), the airport company on 9th October. The helicopter services are to be provided by Bangalore based Bharath Airways Private Limited, who has 20 years of experience in helicopter service operations. All the necessary permissions from various authorities have been attained before starting this service and CIAL will build a special terminal at Kochi airport with four to five helipads exclusively for the heli services. Initially the helicopter service will be only from Kochi to Nilackal which is situated near the famous pilgrimage centre of Sabarimala. To further extend the heli services, permission has also been taken from Travancore Devaswom Board (“TDB”) which manages the Lord Ayappa Temple on Sabarimala hill to operate heli services from Nilackal to Saramkuttiyal (near Sannidhanam) to carry pilgrims during emergency situations like causality evacuation and movement connected with security requirements. In the initial stages of providing heli services to tourist, CIAL has employed Bell 407 an American made helicopter will fly from Kochi to Nilackal in 30 minutes. On each ride the helicopter can carry a total of seven passengers including five tourist and two pilots. The heli services can operate for 30 hours a month and as its operations widen to encompass a larger number of destinations across Kerala, CIAL hopes they can take at least 150 passengers a month to various parts of the state. CIAL has even planned to tie up with Kerala Tourism Development Corporation to widen their customer base, for tourists who wish to travel to any destination within the state of Kerala at the cost of saving time. Bookings for heli services can be done at www.bharatairways.com. 4 Harvard girls create a soccer ball that when played for 15 minutes can power a lamp for 3 hours. The Nokia N8 and the iPhone 4 both shoot video in 720p. Which one is the best? ABC media watch exposing Channel Seven's explosive investigation into New Delhi's Commonwealth Games security. 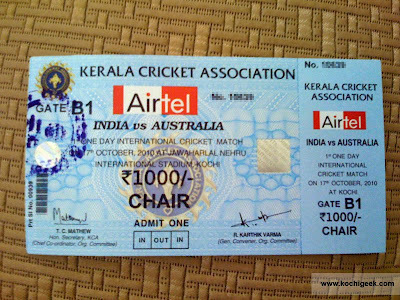 The ticket sale of the India-Australia One Day International at the Jawaharlal Nehru International Stadium, Kaloor, on October 17 will begin in the first week of October. 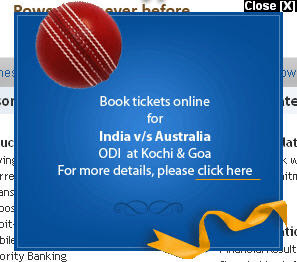 Federal Bank will be the official bankers of the seventh ODI to be played in Kochi. Tickets will be available through selected branches of Federal Bank in the state and Coimbatore. There will be an official inauguration for the ticket sale. Ticket counters will be open from 10 am to 4.30 pm on all working days of the bank till October 15. 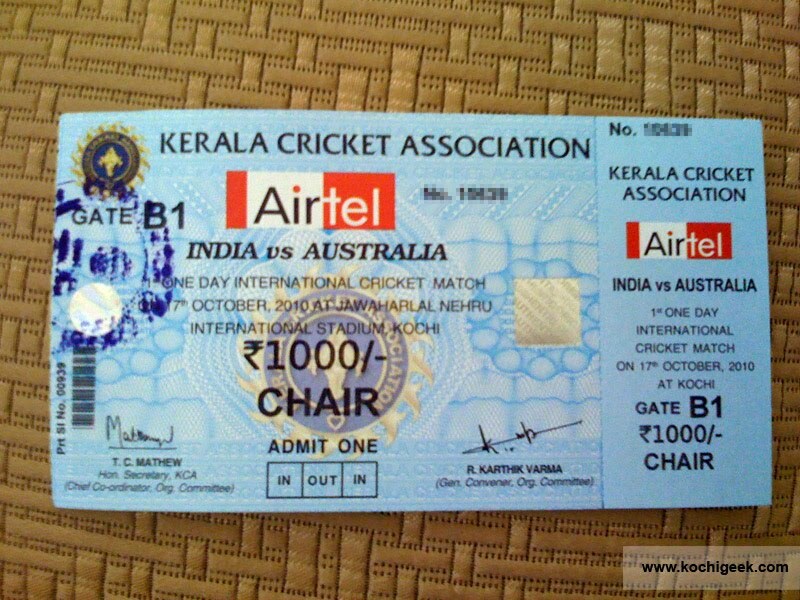 It’s the seventh time that the Kerala Cricket Association is organising an ODI at the Jawaharlal Nehru Stadium. India has played two ODIs against the Aussies. The stadium recently got a facelift with a new roofing. The KCA is confident of sprucing up the stadium ahead of the mega event. Since an IPL team has been formed for Kerala, the association is keen to deliver a well managed sports event, said the officials. 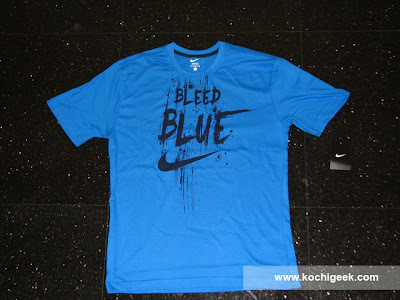 The new outfit of the Indian Team to be launched soon will be another major attraction of the Kochi ODI. 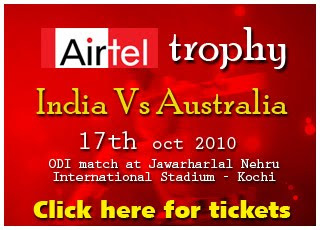 There will around 52000 tickets available for the public for the Airtel Trophy India Vs Australia ODI to be played on Kochi on 17th of October 2010. There will be no free tickets this time, hence it arranged maximum number of tickets to the public. The tickets rates are 300, 1000, 2000, 3000 and 5000. There is a total of 32,000 gallery tickets available which to be sold for Rs. 300. Students, Women and Club Members can get gallery ticket for Rs. 200. They should produce identity card for getting the discount. It should be produced while purchasing as well as entering the stadium. 7500 tickets can be purchased in the discounted rate. 15000 tickets are available for Rs. 1000, 1950 tickets for Rs. 2000, two thousand tickets for Rs. 3000 and 400 seats in the AC cabin for Rs. 5000.